has inserted itself firmly in the upper echelon of Billboard's "Hot 100"--and listeners' brains. In a recent Billboard Magazine article, Mumba protests classification among the current "teen queens" so often referenced in this column, but the evidence seems irrefutable. More Britney Spears than Spears herself on tracks like "Gotta Tell You" and "What's It Gonna Be" (which also makes one think back to TLC's "Waterfalls"), this lass nevertheless taps convincingly into the sound of American music's popular youth movement. And she does so without sounding stale or trite--or venturing into lyrical territory too sexual for her age. 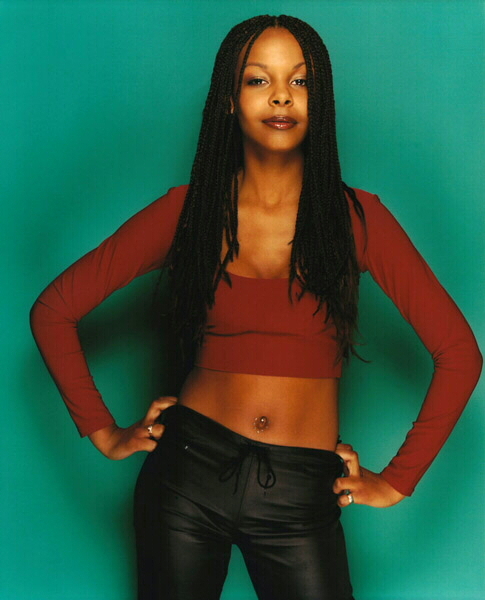 Perhaps her "influences" weren't the current crop of teens, as she claims, but her vocals on some tracks seem to give a nod to Monica and Brandy, both barely out of their teens. Likewise, she pays tribute to teen trio Divine by (beautifully) covering their 1999 #1 single "Lately." Indeed, the comparison to her contemporaries is inevitable, and that's a fact Mumba has to face. Black, Irish girl or not, she specializes in uptempo pop confections--albeit very, very likeable ones. To her credit, Mumba blends the best qualities of any number of her teen predecessors, and, by cowriting six of 12 tracks on the disc, she takes a step beyond. Once "Gotta Tell You" (the single) runs its course, Mumba will find no shortage of follow-up material. With very few exceptions, every track is infectious and radio-friendly. From "Body II Body," which borrows from David Bowie, to "Always Come Back to Your Love" and "Baby Come Over," Mumba and company have packed the disc full of quality, pumpin' jams that can--and will--win radio programmers and widespread listener approval in a second. For proof that she's here on a mission, Mumba taps ever-fresh writer/producer Teddy Riley for "The Boy." Painfully current, and begging for instant attention, this cut is so hot it can barely wait for next spring--when its pulsating bassline and tasty delivery will blast from every teen's open window and passing car. "Never Meant to Be," a ballad cowritten by Mumba, likewise has "hit" written all over it. The glossy production and touching vocals and lyrics combine for a smash reminiscent to a cross between Brandy's "Have You Ever" and Tiffany's "Could've Been" (Yes, Tiffany. Dig, folks. You remember her.). This one will solidify Mumba as a star and pull her to the forefront of the pack. Indeed, Mumba is poised and ready to take a place at the head of her class. Rest assured, though. It's going to be the undeniable likeability and personality of this effort and the youngster--not the luck of the Irish--that puts her there.